The Essentials Mineral & Plant Extracts Eye Make-Up Palette Generous and responsible. Enjoy creating any make-up look, from classic chic to festive fancy! 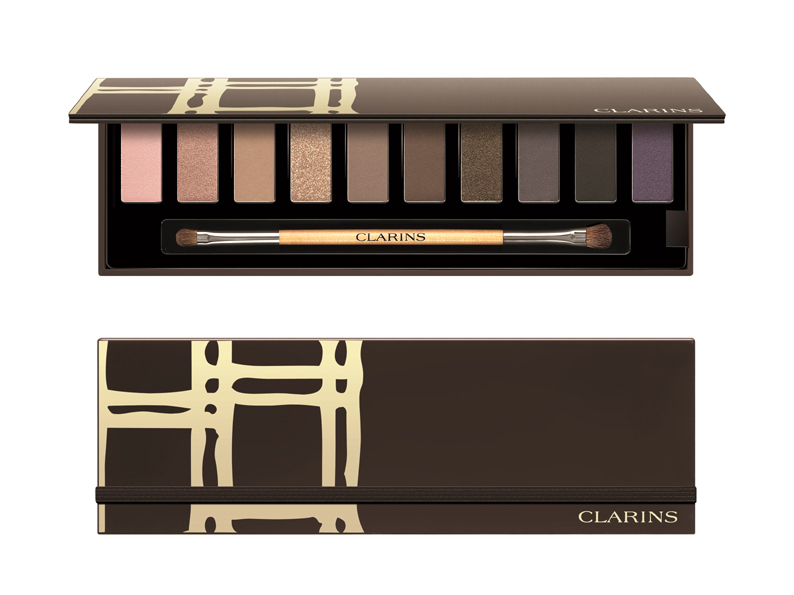 The Essentials Eye Make-Up Palette contains 10 fabulous eye colours with a variety of matte and satin finishes. Eco-designed, it enhances your eyes’ beauty while respecting nature and mankind, themes that illustrate Clarins commitment to Responsible Beauty. Pink, beige, taupe, brown and grey are interpreted in this harmony of ultra-smooth eyeshadows that render intense, luminous results. Want a matte or satin finish? Vary the effects for make-up that looks natural or sophisticated. You can even opt for subtle golden shimmer for a festive look throughout the holidays. Give the gift of responsible beauty. Clarins commitment to responsible beauty is demonstrated in an on-going effort to limit its environmental impact and protect biodiversity as well.